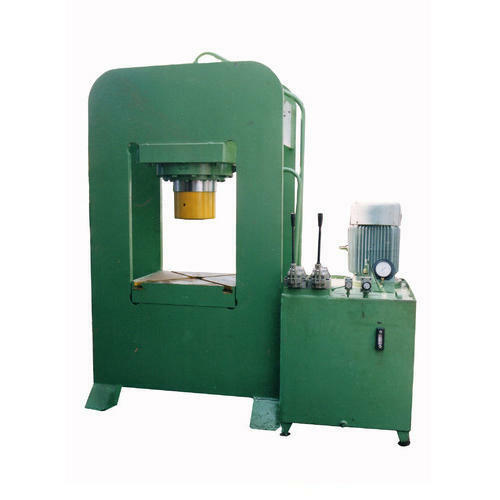 We are offering a wide range of Gate Type Hydraulic Press. Gate Type Hydraulic Press is very effective machine. JMTC is a well-known name as a machine tool dealer with the strong presence in north India. we are one stop source for an exhaustive range of machinery. our product range includes all type of workshop machines namely Metal Cutting Machine, Drill Machine, Milling Machine, Bending Machine, Slotting machine, Tapping Machine, Threading Machine, etc. Keeping pace with the trend we have developed automatic systems to make our machinery more efficient and productive. We at JMTC believe that "as far as technological development is concerned there is no ceiling ". That’s why we are always on look out for latest industrial trends and innovations which are in practice to upgrade ourselves in various spheres of operations. We not only look for new markets, but also boast of retaining our customers by providing them with satisfactory machining solutions and supporting them with commissioning of machinery and subsequent training of their employees to get the best results of our products. Our dedicated and experienced team of application engineers are always there with their knowledge and new ideas to assist to choose best-suited machinery solutions for our customers. We take pride in our newly adopted approach for products development and improvement in regular models with the help of cad/cam/cae technology which enable us to stay ahead of our competitors by providing our customers the best in industry.